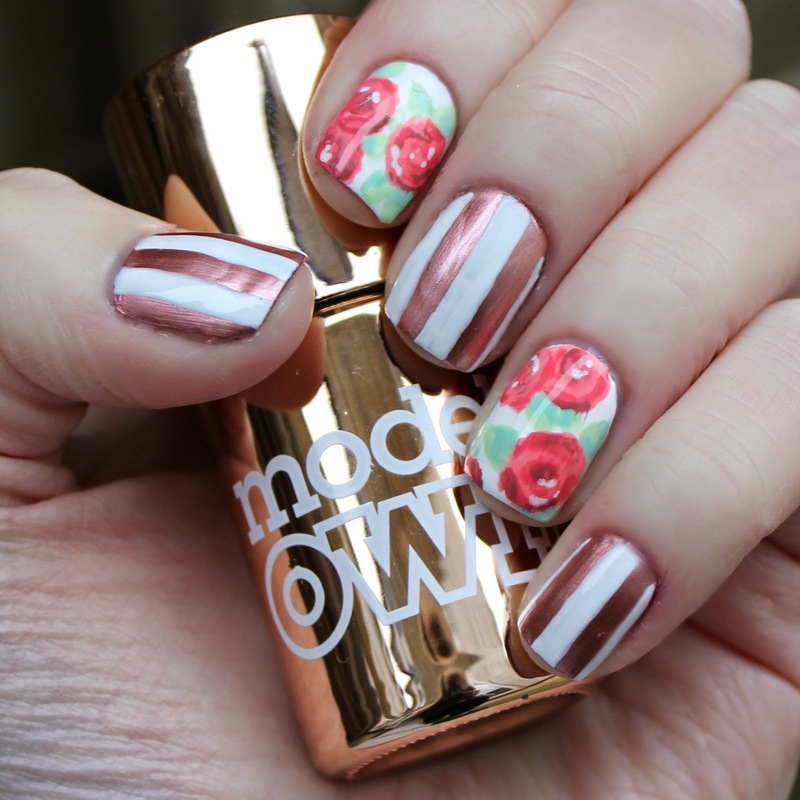 I was so excited when I saw Models Own's Chrome Rose* polish as I am having a real rose gold love affair at the moment. When Jo swatched some of the range back in Feb I knew I had to have the rose in my life. 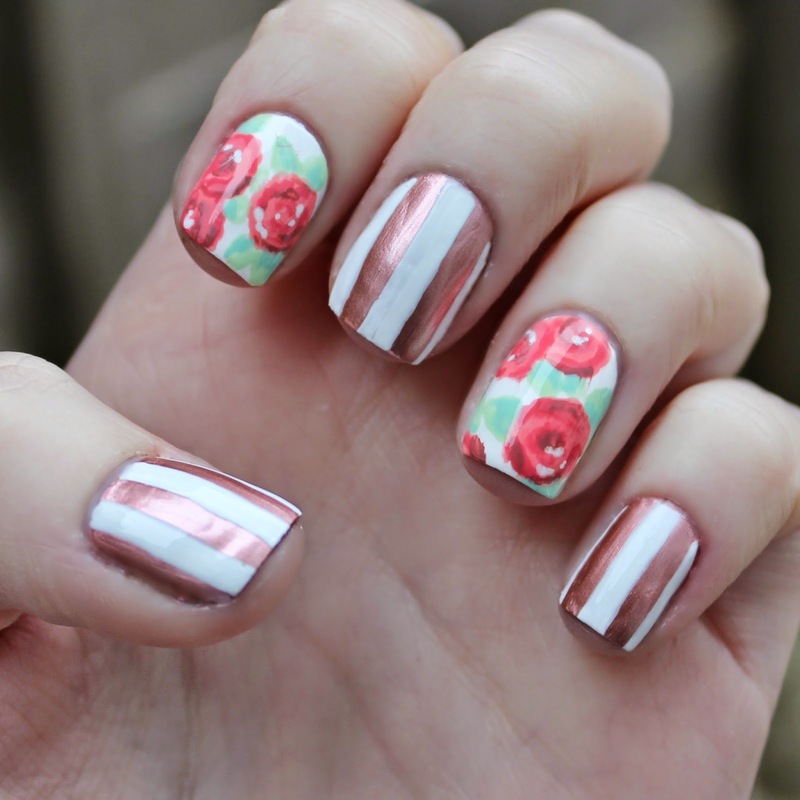 The only problem was I hadn't seen it used in any nail art anywhere and thought it looked a bit full on as a bare colour so had to think how I might incorporate it into my style. 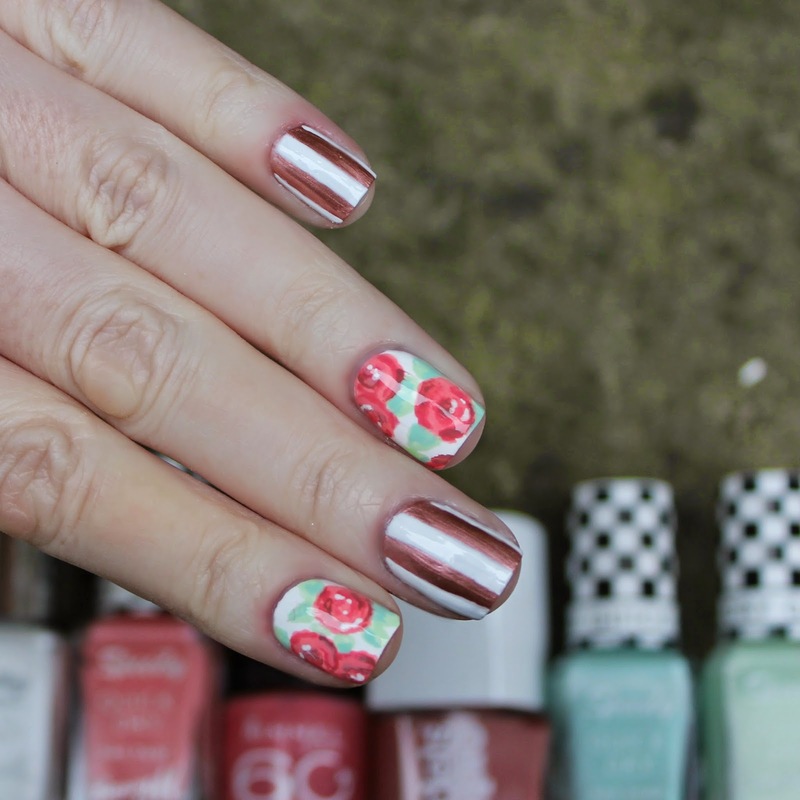 Have you managed to incorporate the MO Chrome range into some pretty nail art? We'd love to see!